Why choose Finch Bay as your Galapagos Islands hotel? A visit to the Finch Bay Galapagos Hotel is like walking into paradise with fearless wildlife on the surrounding beach complemented by exceptional hospitality, Cordon Bleu gastronomy, beachfront living, a swimming pool, hammocks in each room, and plush beds with fine linens: a truly unique way to savor the Galapagos Islands experience. After all, we each have our own idea of what makes a successful vacation. 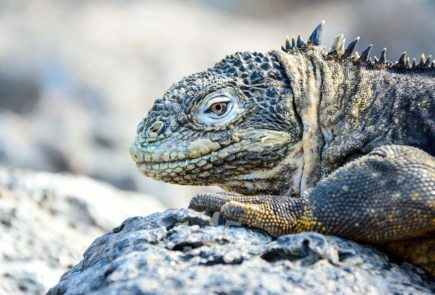 Some want to check as many Galapagos Big15 animals off their bucket list as possible. Others prefer to pursue their favorite adventure sports like kayaking, scuba diving, biking, and hiking, and Galapagos in this respect is a world-class destination. Still, others want to just lie back and take it easy. Or maybe you want to do a little bit of each. And that’s why you come to the Finch Bay Galapagos Hotel. Explore on your own or accept our suggestions based on 50+ years of experience on the islands. We’re here to help you make the most of your Galapagos trip. Any time. Any day. Finch Bay Galapagos Hotel: Your Way. 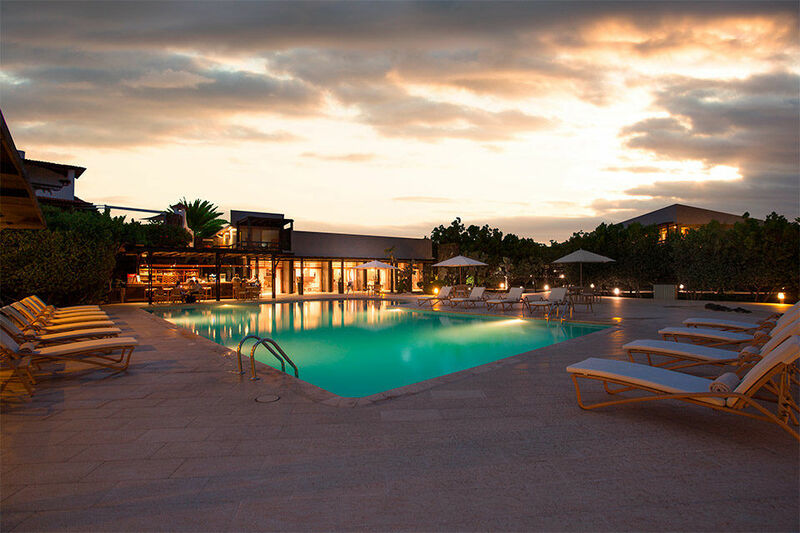 The Finch Bay Galapagos Hotel is ideally located in the heart of the Galapagos. It occupies a prime position next to the only public beach in the town of Puerto Ayora, on the south side of Santa Cruz Island (see map below). The hotel is reached by taking a plane from either Quito or Guayaquil on mainland Ecuador to the airport on Baltra Island. From there, guests travel across the channel to Santa Cruz Island and then by land north-south to the port. It takes about 45 minutes from the Galapagos Airport (GPS) to the hotel. The island of Santa Cruz is part of the Galapagos archipelago’s central islands, which means that most of the National Park’s important highlight visitor sites (Bartolome, North Seymour, etc.) can be reached easily as part of our day-long Island Yacht Exploration activity. The hotel is both close and yet separate from the town. To arrive, just cross over from the Municipal dock to the hotel’s dock using the hotel’s own ‘water taxi’ and then walk a short distance on a tranquil path. This side of the town is car-less, meaning there’s little to disturb our guests’ enjoyment of its beautiful location. But, it also means that if guests want to dine out or explore local life, they can. The south side of the island of Santa Cruz doesn’t suffer from the sea mist (called garúa locally) that afflicts the higher elevations of the island. The Finch is blissfully free of garúa, and guests can enjoy a sunny oceanside climate for much of the year. You will find more information about Galapagos here.